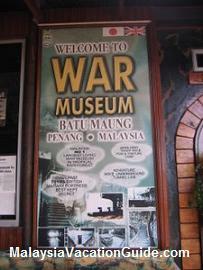 Penang War Museum is located at Batu Maung Hill, south east of Penang Island. It was built in the 1930's by the British to protect the island from the invasion of enemies. This 20 acres site is located on a hill and you will be able to see the Straits of Melaka as well as the surrounding areas from here. The construction of this fortress was done by The British Royal Engineers and local labourers. This complicated fort has all the features of a typical defence facilities with underground military tunnels and ammunition bunkers. The ammunition storage is located 9 metres underground with thick stonewall to enable it to withstand enemy's fire. The underground weapon storage area that you can explore. Another section of the underground bunker. Canon firing bays, cook houses, well, logistic centre, hall, offices, sleeping quarters and medical infirmary are also preserved for your journey of discovery here. 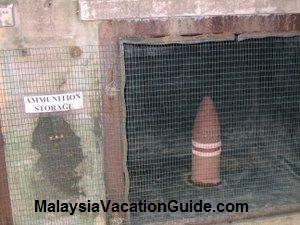 There are even underground tunnels that go all the way to the Straits of Melaka for access to submarines. 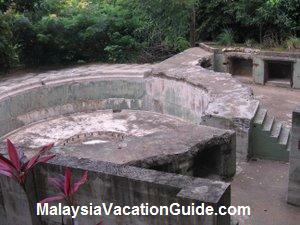 Once completed, this fort was manned by the British, Sikh and Malay soldiers. During World War II, this fortress came under attacked and fell to the Japanese. It was then used as a Japanese army base where interrogation and torture of prisoners for information were conducted here. Being labelled as a place of horror due to the cruelty of war, this hill was deserted after the War in 1945. It was abandoned for years until it was being cleared off and turned into War Museum by Johari Shafie 30 years later. As the area is quite big, plan to spend about 2 hours here as you will be walking and climbing the stairs that abound on this hill. Proper signage and information about the artifacts are clearly displayed here. As it can be quite humid and hot during the day, remember to bring along a cap to protect your head from the heat of the day. Wear a comfortable shoes and have insect repellent ready to ward off the mosquitoes as you move deeper into the hill. 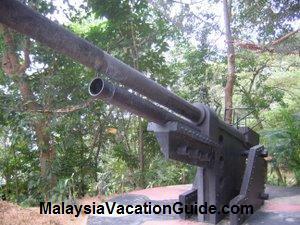 This huge gun can be seen at the compound of the museum. Notice the ammunition storage with thick walls to prevent explosion in the event of bombardment from the enemies. 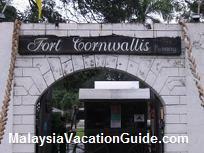 Walking along this historical site is a learning experience about the history, culture, military gadgets and the way of life for those living in this fort. 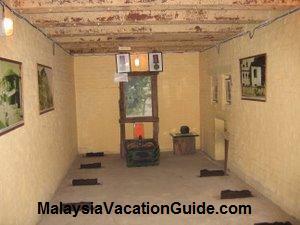 Students and those interested in the history of Malaysia should take time to explore this place. The museum is opened seven days a week (including public holidays) from 9:00am to 6:00pm. 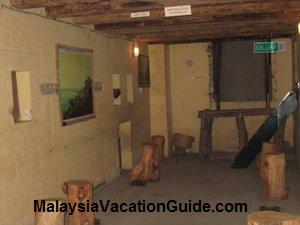 Entrance fee for Malaysian and foreigners with PR or working permit is RM15/adult and RM7.50/child. 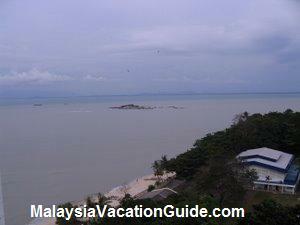 Other visitors are charged RM30/adult and RM15/child. 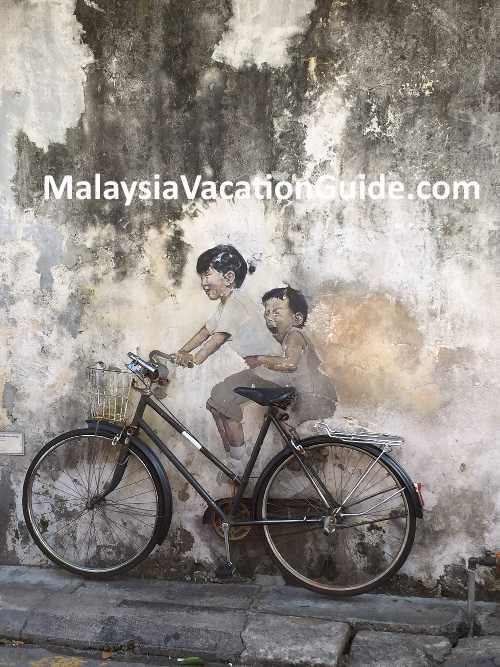 Additional charges are applicable ranges from RM5 to RM15 for optional tours such as tunnel tour, observation tower, tunnel view and canon firing bay. Note: Child is defined as children between 5 to 12 years old. The underground tunnel is well preserved until today. The ruin of the canon foundation and the surrounding. If you are driving from Georgetown, drive south towards the direction of Bayan Lepas Airport using the Jelutong Expressway. 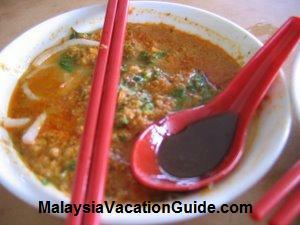 Along the way, you will see a Food Arcade and Penang Prawn Village to your left. Once you reach a four way junction, go straight and you will see the post office on your right. 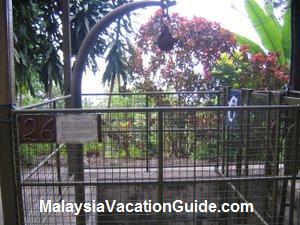 Go further up and follow the Penang War Museum signage which will lead you to Batu Maung hill.